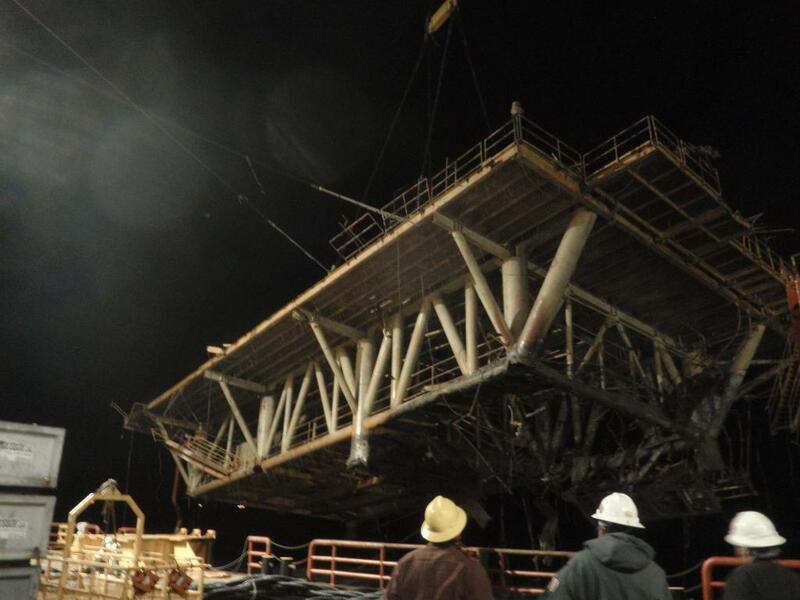 Mariner Oil Platform Removal - Global Diving & Salvage, Inc. Global provided saturation diving services aboard the DSV Ocean Carrier to assist with the removal of Platform B, a hurricane damaged, 8 leg fixed platform in block EI 292 in the Gulf of Mexico. The upper package had been previously removed, and the wells plugged and abandoned. Portions of the lower jacket including the lower half of four legs and the majority of the interconnecting members at one end of the jacket remained; Global and the other crews were tasked with their removal. The highest point of the debris was at 170 fsw, with two of the legs bent over and protruding into the ocean floor at an elevation of 220 fsw. 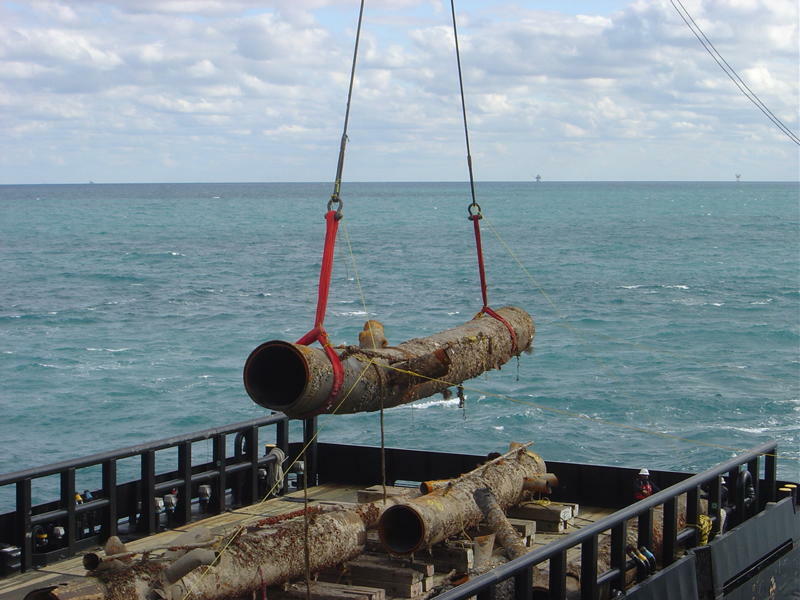 Portions of the structure that interfered with the plugging and abandonment operation were originally placed in piles on sea floor. 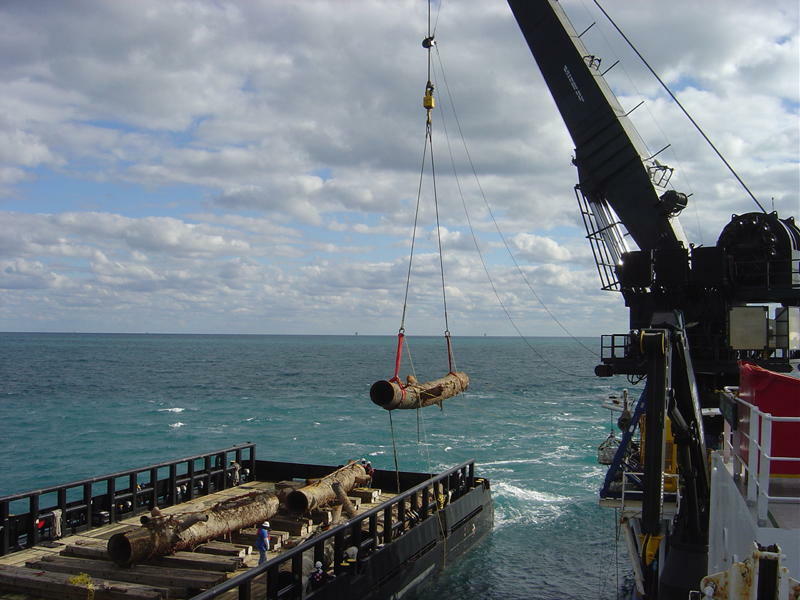 Global was contracted to remove all the remaining platform structure, as well as the remaining debris on the sea floor.